Sarah photographed our wedding this past April in Brooklyn, NY. She is an amazing photographer and a pleasure to work with! From the day we met her at a friend's wedding, to the day we got married, she made us feel comfortable, at ease, relaxed and excited about the whole process. Sarah is exceptional at candid pictures and capturing the true emotions of your day. We loved her creativity and artistic style! We couldn't be any happier with our wedding photos and we highly recommend Sarah for any event or photo session. My husband and I are completely blown away by our wedding photos. We love them! Sarah captures every moment and creates magic. From our engagement photos to our wedding album, everything has been perfect. 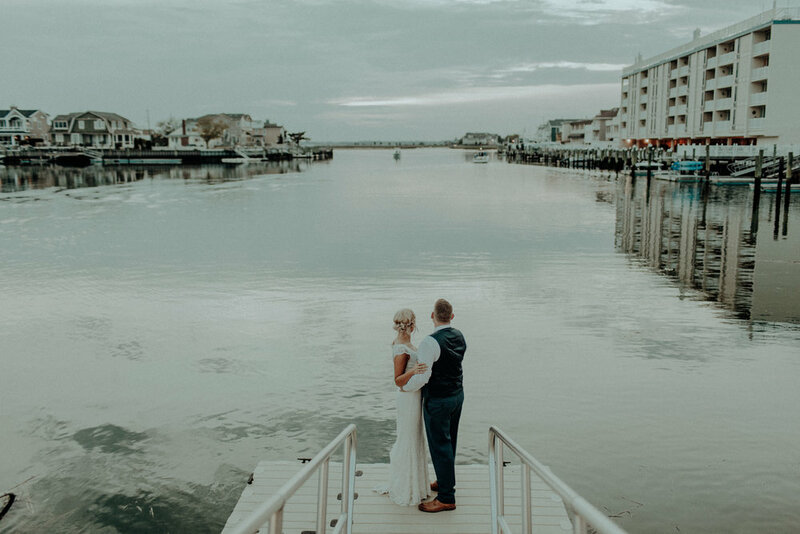 Once our wedding was over, it all happened so fast that I forgot about so many precious moments but I was able to relive them all through the photos and moments Sarah captured. Nothing feels posed or forced with Sarah, she helps make everything feel so natural and really captures the love & heart of people. Please make an investment with a real photographer, you will not regret it!! We are so grateful for what Sarah has done for us! I can't even begin to express what a blessing Sarah was to me and my husband and our families! Not only us, but everyone she was around. She is so personable. I look at my wedding photos every day and think to myself "we couldn't have has a better photographer". No lie. She truly made our wedding wonderful. From beginning to the end she captured every emotion throughout the day. The techniques she uses makes the experience fun. There was joy behind every picture. My husband and I laughed, cried, and had the most amazing day of our lives, and we get to relive that every day because of Sarah B. She is not only an amazing photographer, she is an amazing person and I could not have imagined any one else capturing our wedding day. We love Sarah and I will, and do, recommend her to everyone. Not to mention we got our pictures back very quickly which is a HUGE plus! Sarah makes you feel important, she makes you feel loved, and she makes moments that you can look back on forever. My husband and I were extremely lucky to have had Sarah as our photographer on our wedding day! One day while instagraming, I stumbled across her page and instantly fell in love. I mean just go on and see for yourself! I had to have her for my big day! Her work is so unique and honest- unlike many other photographers work! Sarah is very personable, friendly, fun and let's not forget to mention - super creative! She is also someone you will love working with! Having my picture taken by someone was never something I was comfortable with but it is super easy to be yourself around her - which made the entire experience that much easier and that much more enjoyable. Love love love her! I don't know how to put into words the amazing experience I had with Sarah but I'll try. From the moment I found Sarah's work, I was so inspired by the artistry of her photos. You could feel the energy and emotions in every photo as if you were living those moments. I love the use of natural light and the moods in her photos. Sarah's work is far from ordinary, she is truly a talented artist with an eye for telling a story with the moments she captures. When my now husband and I met with Sarah for our consultation, we instantly clicked and it felt like we were old friends. Sarah is so down to earth and easy to talk to. She has a fun spirit and she lets you be yourself. Sarah goes above and beyond to make you feel comfortable and she works hard to make beautiful images. For our engagement photos, we were nervous and didn't know quite what to do in front of the camera, but she gave us direction and had us play little ice breaker games which made us comfortable and we had a lot of fun. Sarah has become such a great friend during the process, even going to the bridal shop with me to help me choose my wedding dress! We absolutely loved our engagement photos and wedding photos. I even did a boudoir shoot with her a few months before the wedding which was a great experience and confidence boost. I had full trust in Sarah on our wedding day and she captured so many photos of moments that were so fun to relive and that will be beautiful memories over the years. Sarah is so creative and amazing at what she does. We have received so many compliments from friends and family on our wedding photos. On our wedding day, I could not have asked for a better photographer and her husband was an awesome second shooter. They make a great team. You will not be disappointed if you choose Sarah B Photography, she is a gem and I can't wait to capture more of life's moments with her!